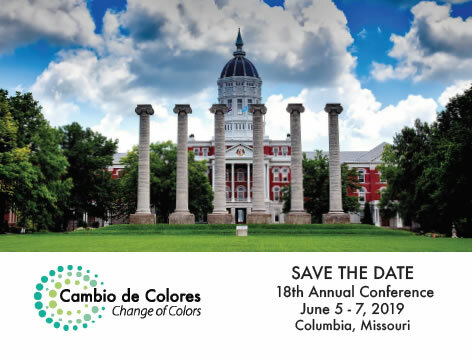 2019 Cambio de Colores conference will be in Columbia, MO, June 5-7, 2019. Dr. Lisa Dorner gives you the basics of dual language education models and goals. Get to know newcomers in Missouri. Find the number of Hispanics in your county by age ranges. Find information for receiving and newcomer communities. Research and best practices. Early Bird Registration for the 2019 Conference Ends April 23rd: "Welcoming Immigrants and Newcomers in Turbulent Times: Knowledge, Connections and Action" will be held June 5-7 at Stoney Creek Inn. See the Conference Website to register. Announcing Keynote Speaker Nicole Novak: The Cambio de Colores Conference will have a session with Nicole Novak from the University of Iowa College of Public Health entitled "Tenemos Muchos Héroes en este Pueblo" ("We Have Many Heroes in this Town"): Rural Responses to Immigration-Related Stress. See the Conference Website to register. Announcing Keynote Speaker María Rocha: The Cambio de Colores Conference will have a session with María Rocha from Mark Twain Middle School in San Antonio, Texas entitled "Welcoming Our Modern Wave of Immigrants in a Multicultural America". See the Conference Website to register. Cafecito and Coursework: Looking for a place to study for your comps, write your dissertation, or study for a course? Come to the Cambio Center every Tuesday starting April 22nd between 5:00 PM and 8:00 PM. We will have some cafecito to keep you awake and comfortable chairs to work! Policy Brief "The Implications of In-State Resident Tuition Policies on Immigrant Health in the U.S.": Cambio Center board member and fellows Stephanie Potochnick and Olivia Piontek, Masters student at the Truman School of Public Affairs share this policy brief. Click here to read. Welcome Verónica! The Cambio Center is happy to welcome Verónica Pérez-Picasso as the new coordinator of the center. Verónica brings an excellent skill set and a wealth of experience to the Cambio Center. Most recently, she has been teaching Spanish here at Mizzou while completing her doctoral level coursework. Prior to joining MU, she has worked in non-profit fields in the arts and health sector in Texas, as well as secondary and university level education and as a language teacher and translator in the US and Mexico. As an ABD, she is researching the role of motherhood in Mexican film and literature for her dissertation. She started Jan. 14, 2019. October 2018: After 5+ years with the Cambio Center, our coordinator Lindsey Saunders moved on. The position was available for applications through November 7. 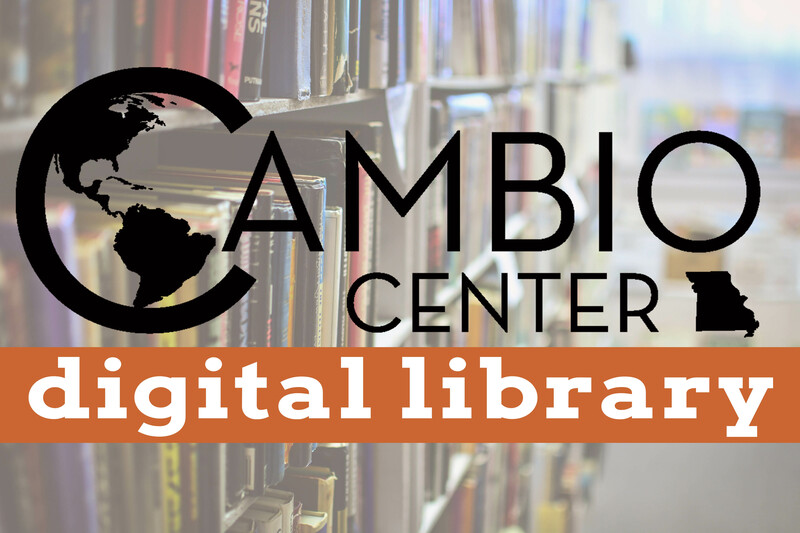 See other eBriefs and Cambio publications. Save the Date: The 2019 Cambio Conference will be held June 5-7, 2019 at Stoney Creek Inn in Columbia, Missouri. Scientific Evidence: The Society for Research in Child Development released "The Science is Clear: Separating Families has Long-Term Damaging Psychological & Health Consequences...". Thanks to the invited experts, including MU's Dr. Gustavo Carlo, for this summary of scientific evidence. Changing Communities: In the U.S. today, one in four (24%) young people under 18 years old, are Hispanic/Latino. Also, one in four (24%) young people aged 0-17 are either immigrants or have at least one parent who is an immigrant. Learn more about America's youth: https://www.childstats.gov/. 2018 Cambio Conference was held June 6-8, 2018, in Kansas City. See the program. The conference featured four plenary sessions, four breakout sessions, a poster session and competition, plus site visits. Over 160 people registered and engaged in dialogue on supporting integration of newcomers.